PHOENIX – A second federal judge has temporarily blocked the Trump administration from ending the Deferred Action for Childhood Arrivals program, known as DACA. U.S. District Court Judge Nicholas G. Garaufis of the Eastern District of New York ruled Tuesday that DACA recipients and states are likely to succeed in their challenge to the way President Donald Trump ended the Obama-era program, which they claim was arbitrary and capricious. 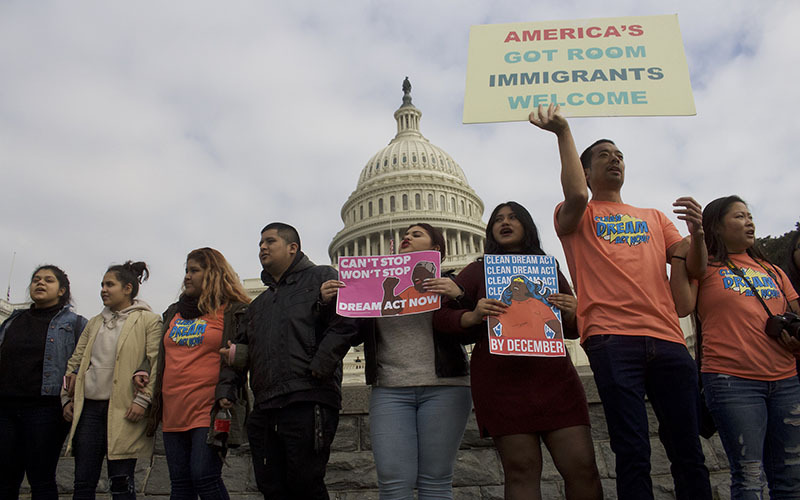 Garaufis’ ruling, along with a ruling from a federal judge in California last month, means DACA could survive beyond the March 5 deadline given to Congress by the president to reach a decision on the program. Tuesday’s ruling means DACA recipients can renew their status, but the administration will not have to hold the program open to those who never applied. Reactions around the Valley were a mix of temporary relief and continued fears over their uncertain status. Edder Martinez, an Arizona State University student who’s communications director of Undocumented Students for Education Equity, is one of the almost 26,000 DACA recipients living in Arizona. Martinez added he hopes that members of Congress will continue to work fast, even though this ruling may have alleviated the pressure of a deadline. He wants lawmakers to solve the issue before the original deadline of March 5. Vasthy Lamadrid, co-founder of Undocumented Students for Education Equity at ASU and another DACA recipient, also fears Congress now might not consider DACA a priority. “I think that when Trump made the decision to end DACA, it shook the community and made everyone feel uncertain. This decision can offer some relief for DACA recipients and their overall community,” Lamadrid said. Lamadrid said Trump’s anti-immigration rhetoric and his decision to end DACA ultimately awakened a movement within recipients and members of the community.